As it continues down the path toward becoming a central hub for teamwork, team collaboration app provider Slack this morning announced integrations with Microsoft Office 365 productivity tools aimed at reducing the need for its users to switch back and forth between browser tabs and various business applications. 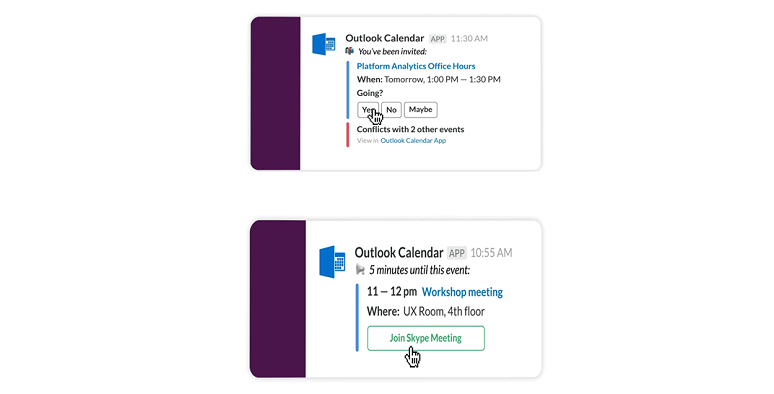 Via the Outlook Calendar app for Slack, users will get calendar invites as Slack messages. As shown below, the message will notify users of meeting conflicts and allow them to accept or decline invites with a click. The app also provides meeting reminders via direct message, which could include a clickable link for joining a Microsoft Skype for Business, Cisco Webex, or Zoom Meetings meeting. Once in a meeting, the app sets the user’s Slack status to “In a meeting,” and when a user is out on vacation, the app sets the Slack status to “Out of office,” Slack said. In addition to the Outlook Calendar app, Slack now offers an Outlook add-in that enables users to bring email conversations into Slack channels by forwarding them from their inboxes directly or via direct message. Moving an email into a Slack channel means team members can collaborate on a response. Slack provides similar functionality for Gmail users via its Slack for Gmail app. Slack also released an update to its OneDrive app aimed at allowing users to more easily import, search, and share files. Via the app integration, users no longer have to create a new email chain to share a file; rather, they can click on the “+” icon within Slack, select the file to share, and send. “When the file is added to a channel or direct message, members can discuss it in a thread, with the full context, and its content is automatically indexed and searchable,” Slack wrote. Lastly, Slack announced an update that lets users get full previews of shared Office files – PowerPoint presentations, Excel worksheets, Word documents -- without having to download them. Time savings is the benefit, Slack said. Moving forward, Slack intends to bring similar functionality to OneDrive files, the company said. 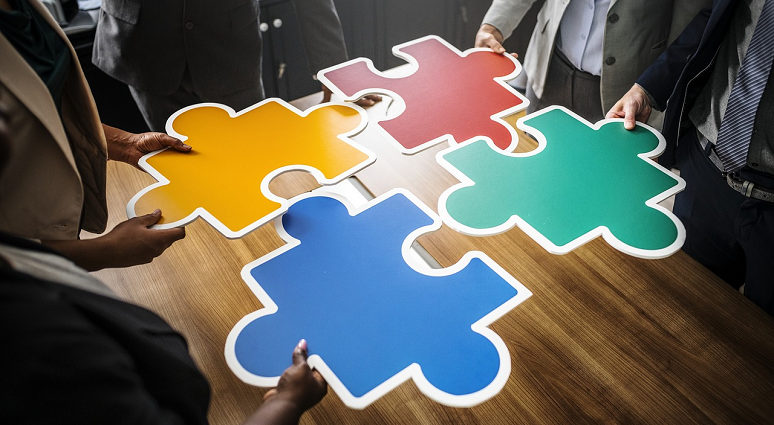 In fact, Slack stated that these updates “are the first in a series of steps to integrate the work you create in Office 365 with the collaboration taking place in Slack,” so be on the lookout for more to come on this front.